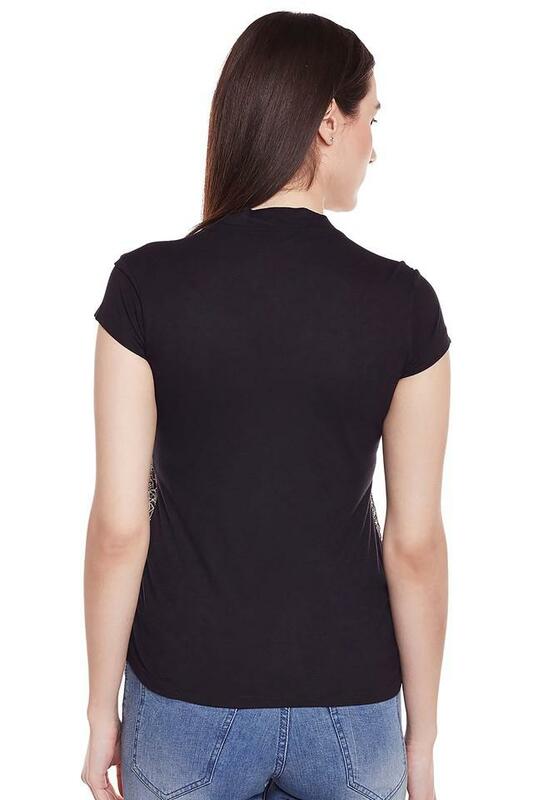 Punctuate your casual wardrobe with this top from Latin Quarters. Tailored in good quality fabric, this top is light in weight and will keep you at ease all day long. 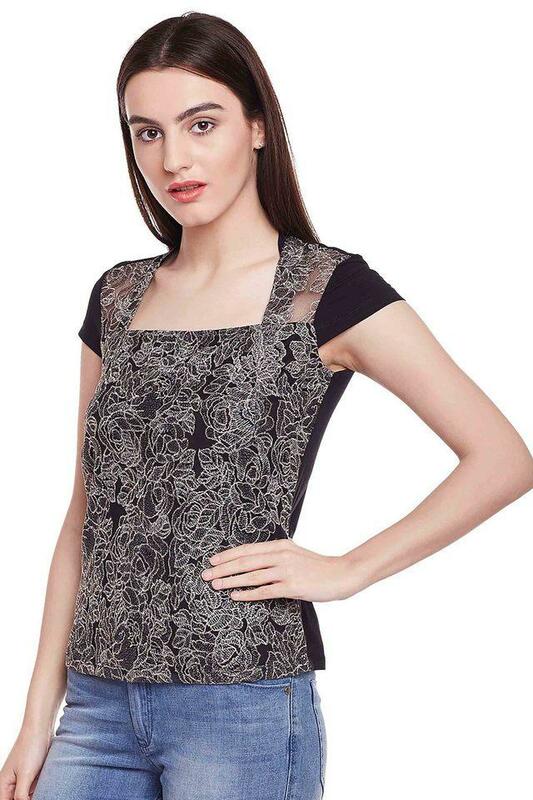 Featuring a square neck, short sleeves and lace pattern, this top holds a superlative fascination. 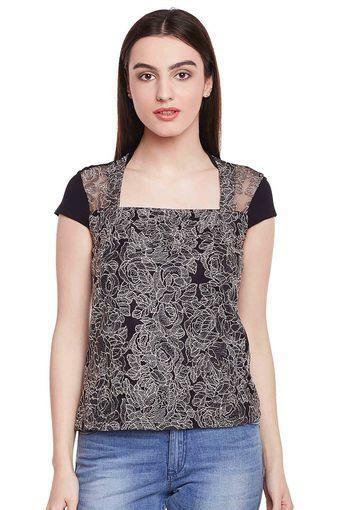 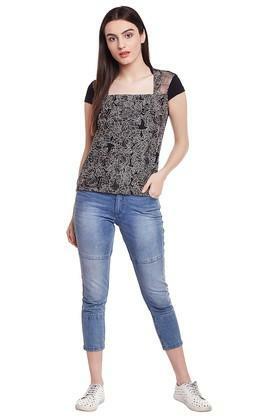 Make a charming choice for casual occasions with this top. Team it with a pair of colorful sandals and a bracelet Add on a sling bag to complete the casual look.